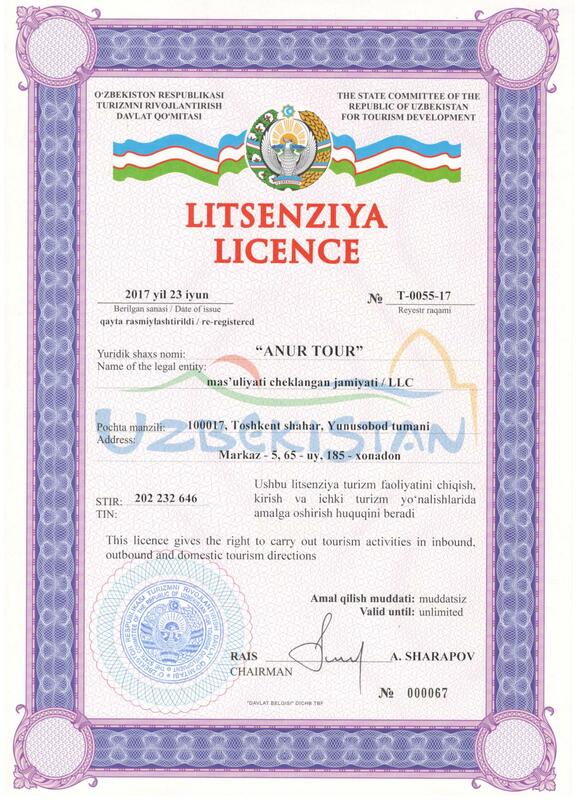 Travel agency ANUR TOUR has been operating in the international market since 2009, providing excursion and complex tours around Central Asian countries. We work with individual tourists and large groups, ensuring interesting and comfortable stay in the countries of the Great Silk Road. Our professional team organizes all kinds of tourist and business trips, working separately with each client. We’ll make everything for your comfort, safe and interesting travel. Here you can find reviews of our some tourists about the country and about us. Our aim is to serve our clients professionally. We are greatly pleased to help you to learn about our culture, history and geography. We will also make every effort to make your staying unforgettable. We are always glad to see you in Uzbekistan!